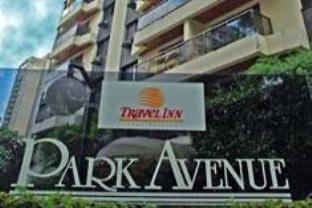 자르댕에 위치한 Travel Inn Park Avenue Jardins는 파울리스타 애비뉴에서 2블록 거리에 있으며 트리아논-마스프 지하철역에서 도보 10분 거리에 있습니다. 체육관 및 비즈니스 센터를 보유하고 있습니다. 각종 신선한 과일, 빵, 냉육으로 구성된 조식 뷔페가 매일 제공됩니다. 호텔 레스토랑에서는 지역, 세계 각지의 특선 요리와 다양한 음료를 즐기실 수 있습니다. 모든 객실은 카펫 바닥, 에어컨, 미니바, 평면 케이블 TV를 갖추고 있으며, 전용 욕실에는 온수 샤워 시설이 있습니다. 유선 인터넷을 무료로 이용해 보십시오. 숙소에서 8km 거리에는 치에테 버스 터미널과 콩고냐스 공항이 있습니다. 또한 차로 25분 거리에는 이비라푸에라 공워니, 아넴비, 엑스포 센터 노르테가 있습니다. 전용 주차장도 이용하실 수 있습니다. Please note that the hotel will request a credit card pre-authorization before check-in. The amount correspond to 1 night stay. Please contact the property for further details. when we need to change some money, the staff accompanied us to the tourisim agent which is at least 3 blocks away.This made us moved.